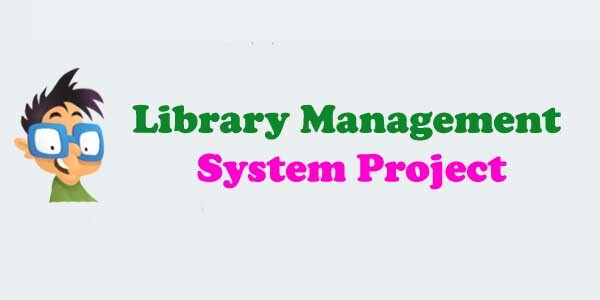 The Library management system project in java is free to download. free library system project in core java as Front End and MS access is Back End. By this open source library project You can manage your database library with user interface. an advanced library system which contain best feature with multi-threaded operation without fail. now more from wiki about online library management system project and requirement are listed below to run the system. know get more information from computerized library system project. Just download and Make it has your Final year project or mini project. It is designed in such a way that you can use this for your final year project also. The database Library project is maintain library Related all details. this application is multi-threaded. Means user can do many task Simultaneously. below I explained the project detail in short. if you need to know more about the project download it. try and tell us know if you have to doubt about this project. using core java I build this project and this is advanced project as compare to traditional library system. User Module: In this module student will check availability of the manage book in library system. student just want to search book from Library system name in the search box. Here student can return their books to the online library. Administrator Module: This is the most module within Library management system project in java. The administrator will browse and write info regarding any member. The administrator may update, produce and delete the record of membership as per demand and implementation plans. Book details: Permit administrator to entered book details like book id, book name, book author, edition and more. Just download Library management system project in java. library management project is one of most popular project, over 2.3 Lakh students download per year. code creator have java projects with source code on the site. you can download all those project at free of cost. so why are you waiting for, just choose your project topic or search on codecreator like php project ideas and get your free project copy. So don’t waste your time to search the online library management system project in java source code, because I had already attached below so you will take the benefit of the project.